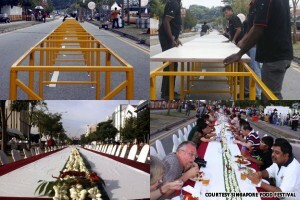 On July 23, a 160-meter-long table was constructed on Race Course Road , Singapore with one, continuous tabletop. 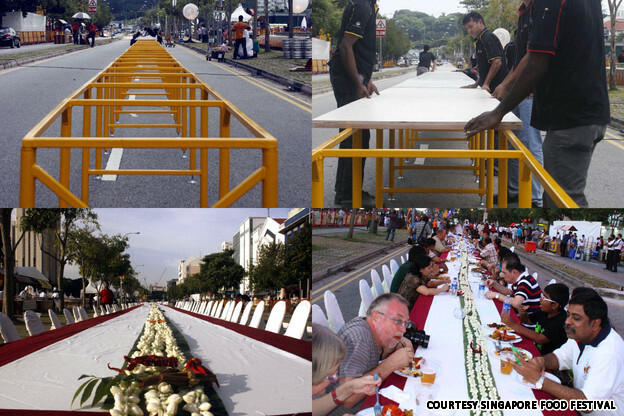 This event was organized as part of the Singapore Food Festival ,the attempt on the record was achieved in the presence of 3,200 spectators. Comments for Longest Table with a Single Table top are now closed.